Couples planning their weddings in South Florida hire Couture Bridal Photography as the top photography studio specializing in artistic wedding photography in South Florida. As the best rated Fort Lauderdale based wedding photography studio serving Miami, Fort Lauderdale, Palm Beach, The Florida Keys and Naples, we are the most experienced, trusted and sought after professional wedding photography studio in South Florida. We are best known as the top professional photography studio for wedding photography in south Florida for our style of wedding photography. Our unique style of wedding photography approach is a result of combining several styles of photography to create a romantic wedding day love story with moments captured throughout the wedding day. Using advanced lighting and compositional techniques, we deliver the most elegant, romantic and timeless wedding photography to couples in South Florida and from around the world. Couples book Couture Bridal Photography as the most trusted, respected and preferred wedding photography studios in South Florida for our unique approach to bridal photography, affordable pricing and our distinct style of wedding photography. A combination of editorial, photojournalism, fashion and glamour creates the most dramatic and artistic wedding photography couples seek to create the most memorable moments of their lives on wedding day. One of the most important factors a bride and groom will consider when planning their wedding is the price of wedding photography in South Florida. Wedding photography is the most important aspect if their wedding day planning and is the sole vendor that will deliver life long images to remind a couple of the commitment and love they have for each other long after the end of their wedding day celebration. As the leading professional wedding photography in South Florida, we offer the most personalized wedding photography in South Florida to meet most wedding planning budgets. Choosing us for wedding photography is one of the best investments a bride and groom can make on their wedding day. We are the only professional photography studio in South Florida offering wedding photography payment plans, wedding photography registries and flexible payment terms to make it easier for couples to book us for their south Florida weddings. Couture Bridal Photography is the most trusted brand in professional wedding photography offering the best wedding photography prices in South Florida that is willing to create customized wedding photography packages to keep the cost of wedding photography within the budget of couples getting married throughout South Florida. Palm Beach County is considered the northernmost counties that make up south Florida. Palm Beach county has many cities and towns popular with couples planning their south Florida Wedding. Along with various houses of religion, hotels and dedicated wedding venues to fit any couples wedding planning budget, there are golf clubs and oceanfront resorts that host weddings year round. Palm Beach county is where many of the weddings we photography take place as the top wedding photography in South Florida couples trust most on their wedding day for the most spectacular wedding photography. Couples planning engagement photo sessions or getting married in Jupiter, Florida are in for a treat. We deliver the best uncompromising south Florida wedding photography in Jupiter, Florida. Jupiter, Florida is popular for photography sessions along blowing rocks preserve which is the most scenic for South Florida engagement and wedding day portraits and several high end wedding venues. Brides and grooms choosing Jupiter, Florida for their weddings get married at the Jupiter Beach Resort and the new Lessing's Pelican Club wedding venue, which we are proud to be the preferred wedding photography studio. As the premiere south Florida wedding photography in Jupiter, Florida we are the most sought out professional wedding photography studio couples choose to capture their wedding day memories with the most artistic bridal images. Palm Beach is home to one of the most famous wedding venues in South Florida, The Breakers Hotel. As the most preferred and recommended professional South Florida wedding Photography studios in Palm Beach, we are called upon to photograph the most elaborate and luxury celebrity weddings in the State of Florida. 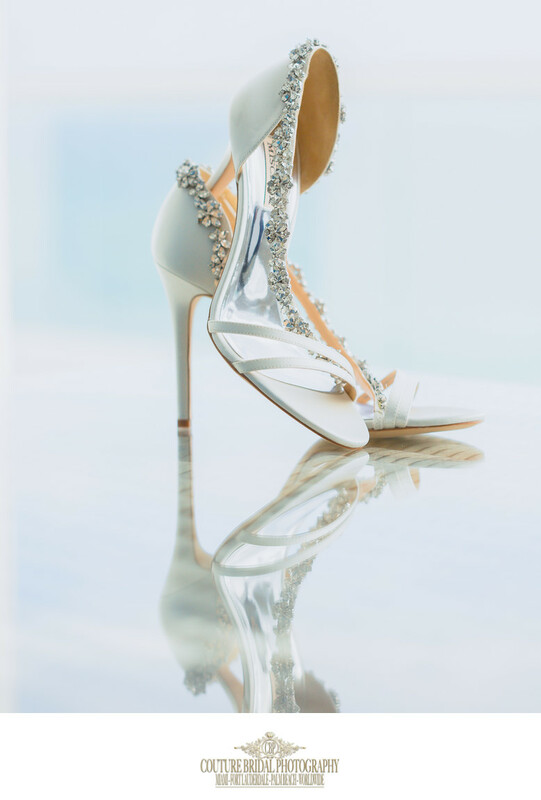 Couture Bridal Photography is known as thebest South Florida Wedding Photography studio for weddings at the Breakers Palm Beach, Eau Palm Beach, Tideline Resort and the world famous Mar-a-Lago golf club resort. As the top rated professional wedding photographers in South Florida, we offer the most spectacular story telling wedding photography couples throughout Palm Beach choose to capture every moment and emotion on their wedding day. We offer the best pricing and flexible payment options including a wedding photography registry, which is an exclusive option only provided by Couture Bridal Photography. Boca Raton, Florida is one of our favorite cities in South Florida where we provide brides and grooms with with engagement and wedding photography. As one of the most popular cities in South Florida for weddings, we are the most experienced south Florida wedding photography studios serving Boca Raton, Florida. As the most popular wedding photography studios in Boca raton, we are the preferred South Florida wedding photographers at the Waldorf Astoria Boca Resort & club, Boca Beach Club, the Waterstone Resort & Marina, Hyatt Boca Raton, Lakeside Terrace. Pavilion Grille, the Loft at Congress, Royal Palm Yacht & Country club, Boca Lago Country club and the Addison. Couture Bridal Photography offers the best wedding photography in Boca Raton and has a business location right in the heart of downtown Boca Raton at 137 E Palmetto Park Road, Boca Raton, FL 33432, where couples can meet with us to discuss their wedding photography. As the premiere South Florida wedding photography studio in Deerfield Beach and Lighthouse Point, we provide the best wedding photography experience at the Deer Creek Golf Club and Light House Point Yacht and Racquet club. Couples planning weddings throughout Deerfield Beach book us as the top rated award winning wedding photography studio with the best wedding photographers in Broward County for their wedding photography and videography throughout Deerfield Beach and Lighthouse Point, Florida. These neighboring cities offer brides and grooms the most diverse wedding photo opportunities in Northern Broward County. Couture Bridal Photography has locations located at 2400 Deer Creek Country Club Blvd, #601, Deerfield Beach, FL 33442 and 1544 Southeast 3rd Court, Deerfield Beach, FL 33441 to easily and conveniently meet brides and grooms who want to hire the best wedding photographers in Deerfield Beach for their wedding day photography services. Couture Bridal Photography is independently rated as the top Wedding Photography studio in Fort Lauderdale, Florida, As one of the top 20 Wedding Photography studios in South Florida, and among the top 5 wedding photography studios in the state of Florida. As one of the top rated wedding photography studios in the United States, we are routinely called upon to provide wedding photography services to couples getting married in various states, caribbean Islands, and Europe. Additionally, we are the most preferred, recommended and trusted Fort Lauderdale wedding photographers for couples getting married along Fort Lauderdale Beaches most popular wedding venues, hotels, resorts and Country clubs. Furthermore, We offer the best wedding photography pricing in Fort Lauderdale, Florida. Couture Bridal Photography is known worldwide for offering flexible wedding photography financing, payment options and registry. when i comes to photographing weddings in Miami, we are the top choice of couples seeking the most artistic story telling wedding photography. As the preferred wedding photographers at the Curtiss Mansion, Cruz Building, W Miami Beach and all the top luxury wedding venues in Miami, Florida we are considered the best south Florida wedding photography in Miami, Florida. What makes us stand out from every other Miami wedding photographers is our distinct and creative story telling wedding photography that is considered elegant, romantic and timeless. Brides and grooms choose us for wedding photography coverage at Vizcaya, Coral Gables Country Club, The Colonnade Hotel and the Biltmore Hotel. Our unique approach to wedding photography along with our skills at posing and lighting make us the best choice for the ultimate personalized wedding photography and experience. Best South Florida Wedding Photography for Destination Weddings in Puerto Rico! If you are planning a destination wedding in Puerto Rico or anywhere in the Caribbean, we are one of the most preferred wedding photography studios in the United States to photograph weddings in Puerto Rico and other Caribbean destination weddings. Couture Bridal Photography is best known as the Puerto Rico Destination wedding specialists for our intimate knowledge of the best bridal portrait and photography locations throughout the Island. As Puerto Rico wedding photography specialists, we have provided wedding photography at Puerto Ricos most popular and luxury wedding venues such as la Concha, El Convento Hotel, Intercontinental San Juan, Marriott Stellaris, Dorado Reserve, Rincon Beach Resort as well as on Vieques and Culebra. Couples planned a destination wedding anywhere in Puerto Rico will receive the best wedding photography and best prices from us along with piece of mind, since we are mainland USA based. Location: 551 North Fort Lauderdale Beach Blvd. Fort Lauderdale, FL 33304.